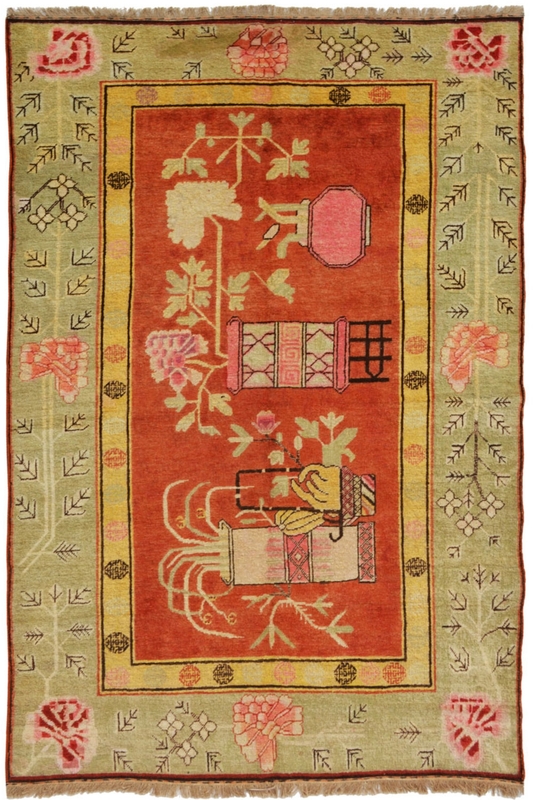 Enhance the beauty of your décor and add a gardenish look in your home by putting this rectangular vintage rug. This is made in wool and cotton material on a handloom in India. This is "One of a kind" piece in kilim collection. It is beautifully hand-woven in wool and cotton material on a handloom. The center of this carpet contains floral, flower pot type design and gives a perfect classic touch to this carpet. The ground of this carpet is in rust color and rest of the carpet is in green color. It is a perfect rug for a wall hanging.